Each year about 1.5 million Americans are diagnosed with type 2 diabetes, adding to the 30 million Americans who are living with diabetes every day. 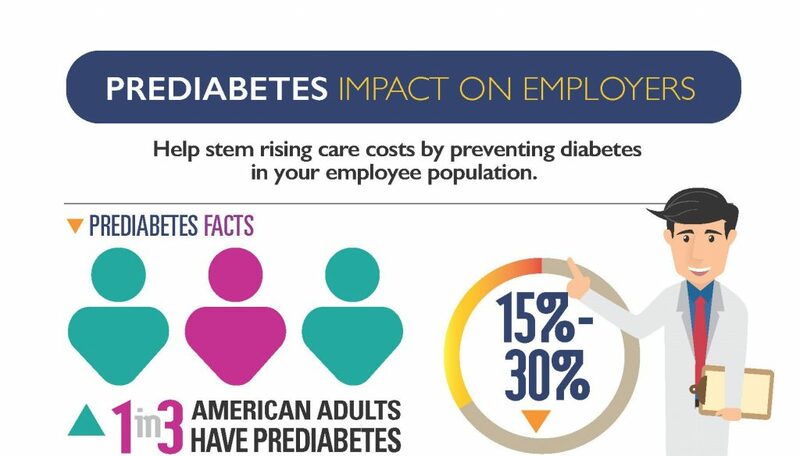 And one in three American adults have prediabetes, although 90 percent of them don’t know it. While type 2 diabetes is linked to age, race and family history, research also shows that the risk of developing prediabetes increases when an individual is overweight or physically inactive. Although we can’t change our age, race or genes, we can change our lifestyle habits. 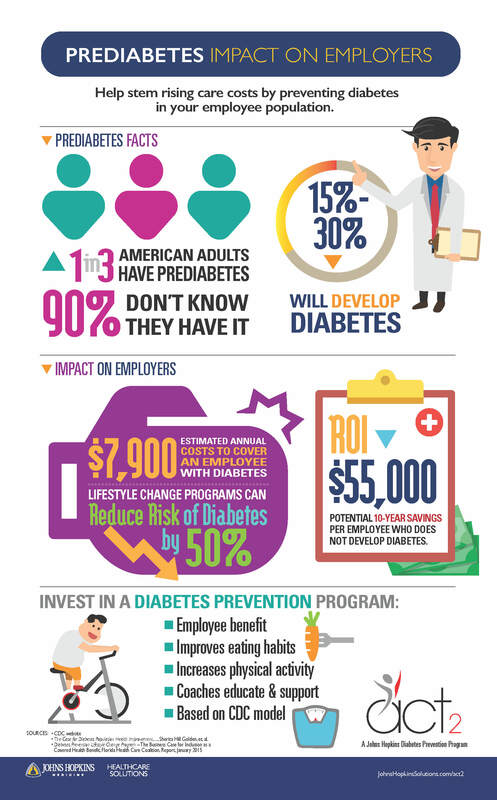 And that’s good news for employers, who pay about $7,900 annually to cover an employee with diabetes: lifestyle change programs can reduce the risk of developing diabetes by 50 percent. Johns Hopkins has developed two lifestyle-change programs: one helps individuals prevent type 2 diabetes and the other trains them to self-manage their diabetes. act2 is an interactive, year-long support and engagement program that empowers those at high risk of developing diabetes. The program enables participants to take charge of their own health and well-being, with the support of trained coaches. The goal of DECIDE (Decision-making Education for Choices In Diabetes Everyday) is to help individuals—ranging in age from 18 to 90 years old—learn how to change their behavior so they can better manage their diabetes. Incorporating the seven core diabetes-self-management behaviors, the DECIDE program facilitates adherence and maintenance by teaching patients problem solving as a key skill for behavior change and for incorporating self-management activities into their everyday lives. Using a cloud-based platform, DECIDE delivers this clinically-validated online program to patients anywhere, on any device, at any time. DECIDE was developed from years of research and clinical application by Felicia Hill-Briggs, Ph.D., A.B.P.P., a clinical psychologist, behavioral scientist, and professor of medicine at the Johns Hopkins University School of Medicine. She is a nationally recognized expert in diabetes self-management and diabetes population health improvement. Her research has earned scientific awards as well as honors for improving community health and wellness. Learn more about the benefits of the Johns Hopkins act2 and DECIDE programs.